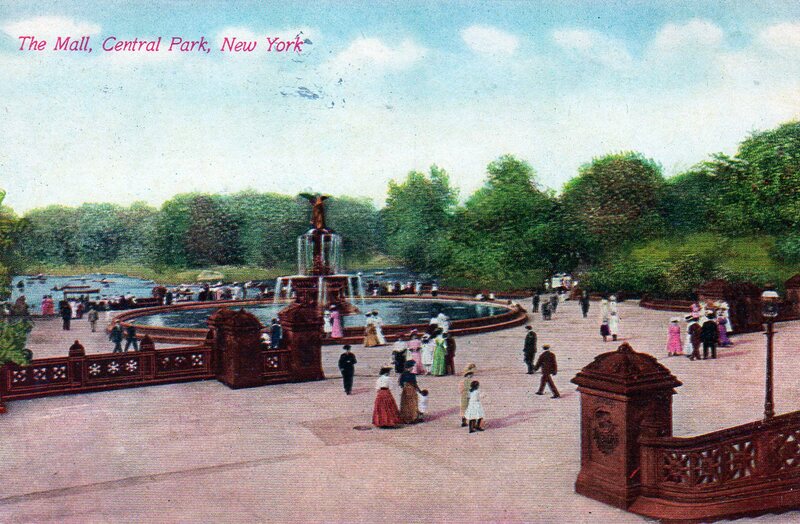 Named for its graceful shape reminiscent of a violin bow, Central Park’s Bow Bridge has always been a park favorite and a lovely remnant of the Victorian city (seen here in a turn of the century postcard). 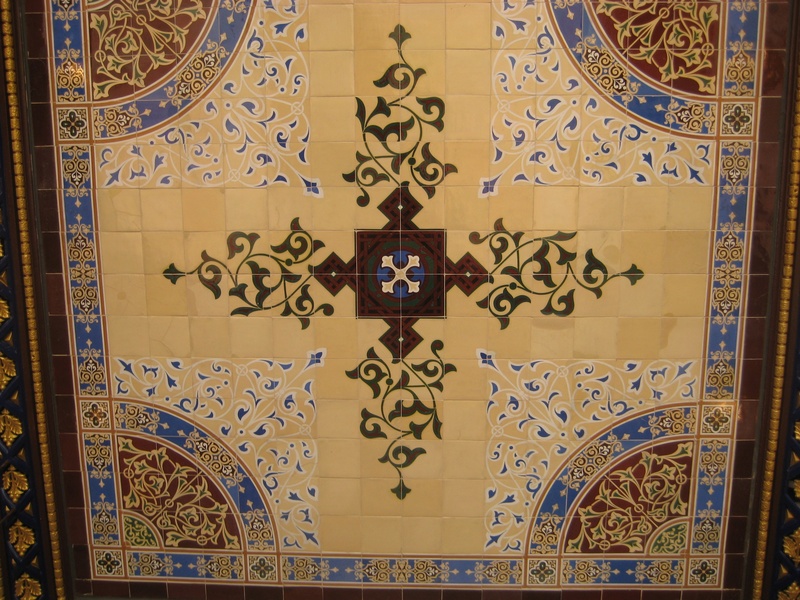 See the urns at the entrance to the bridge on the right? 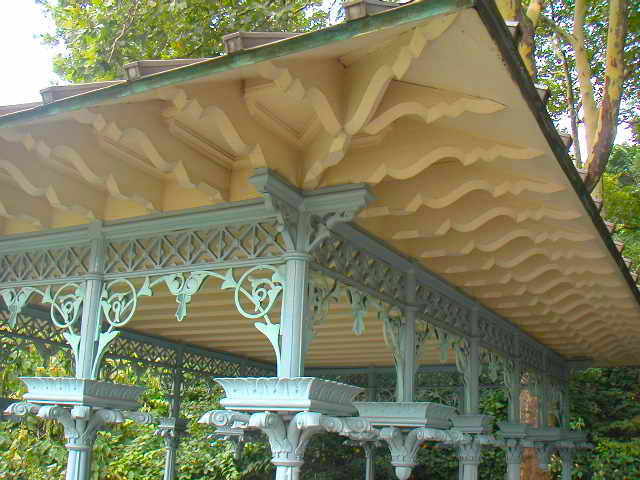 These and six other urns decorating the bridge when it was built around 1860 disappeared mysteriously in the 1920s. 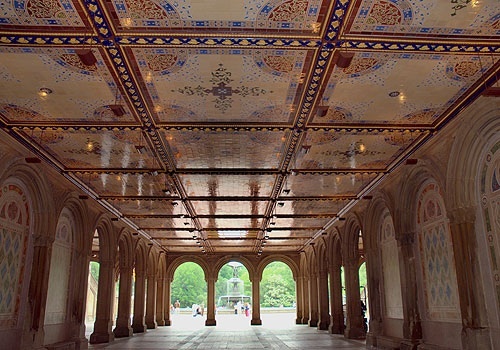 Craftsmen working from original photos made replicas of the urns, and they went back in 2008, restoring Bow Bridge to its original romantic glory. 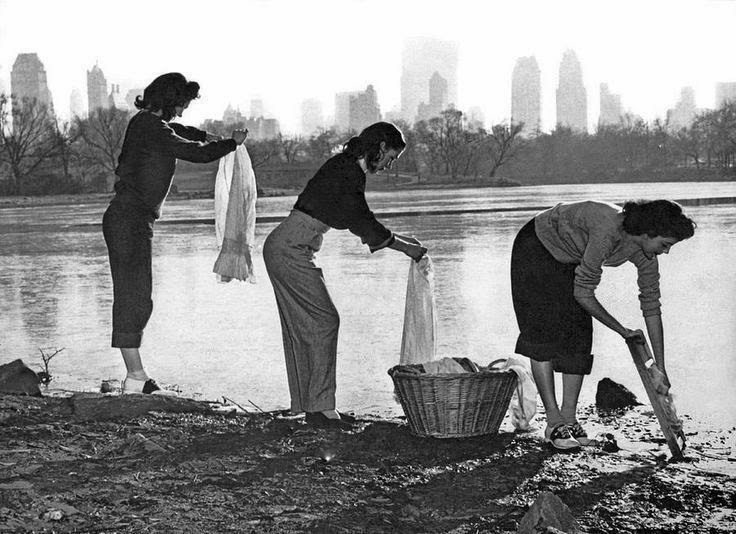 What happened to Central Park’s Swan Bridge? 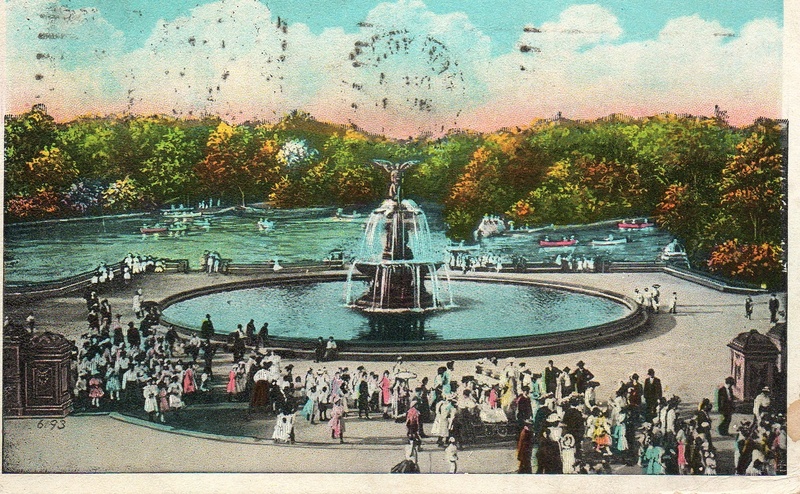 This vintage postcard, stamped July 1928, shows off a really breathtaking part of Central Park, with boaters and swans on the lake and people sitting along benches. 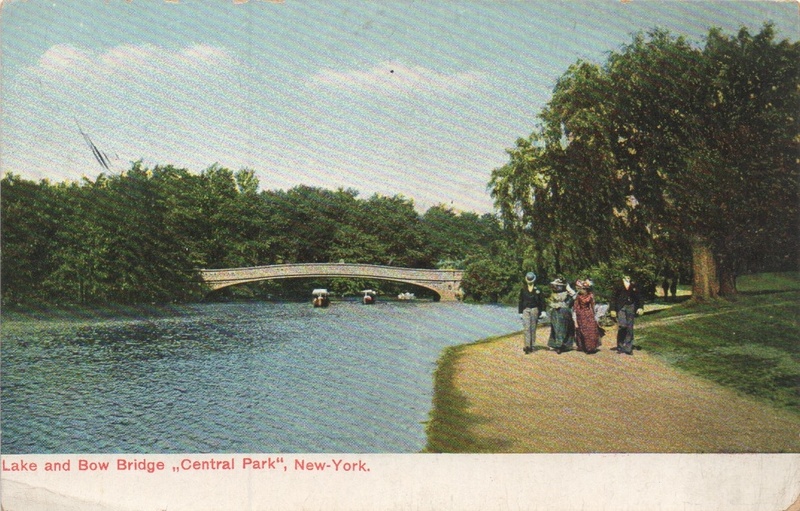 But wait, isn’t that Bow Bridge—the one the postcard calls Swan Bridge? 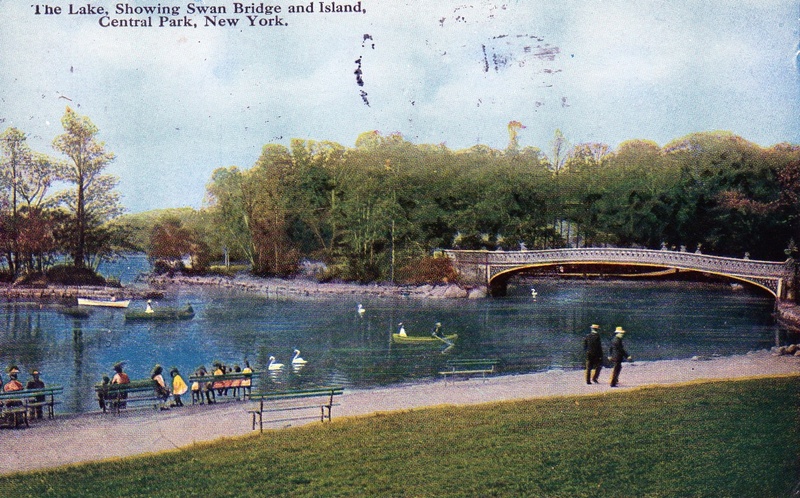 As far as I can tell, there’s never been a Swan Bridge or Swan Island in the park. 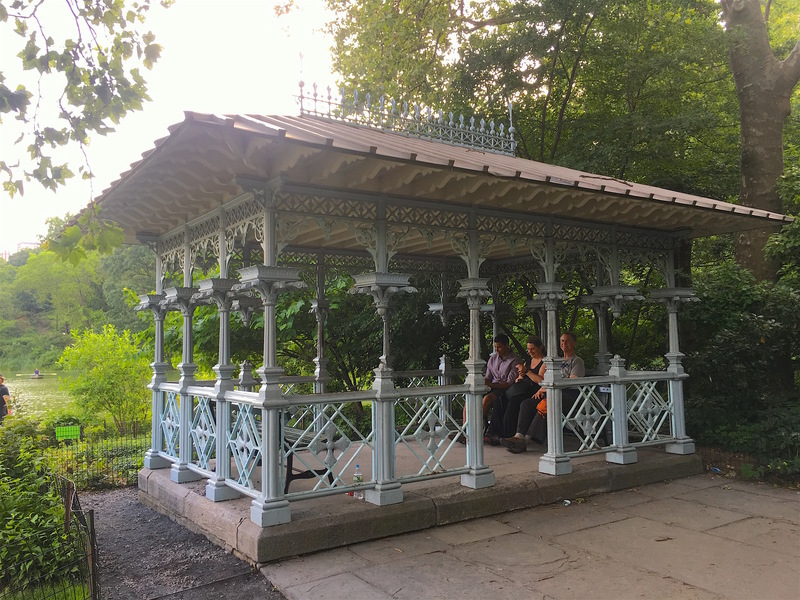 Bow Bridge was always the name for the 60-foot cast-iron bridge that gets its moniker from its gentle bow shape, reminiscent of the bow of an archer or violinist, explains centralparknyc.org. 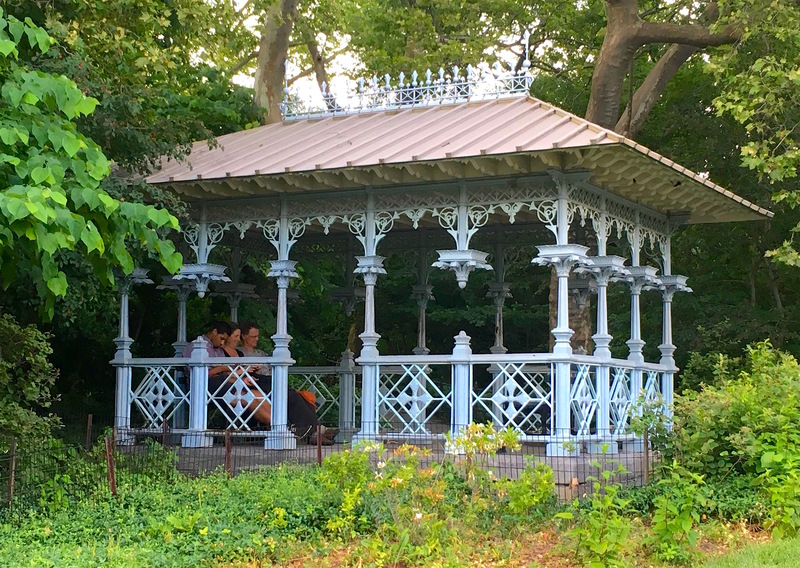 It’s not the first time the city has officially sanctioned putting a human being more or less on display, as this story, of a man who lived for a short time in the Bronx Zoo, reveals. 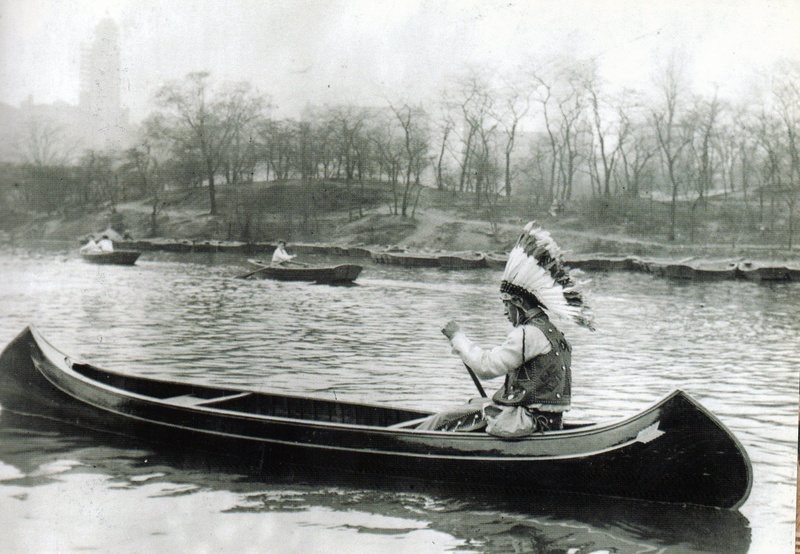 “Boating on the lake has been a popular pastime from the Park’s earliest days,” states the Central Park Conservatory’s website. 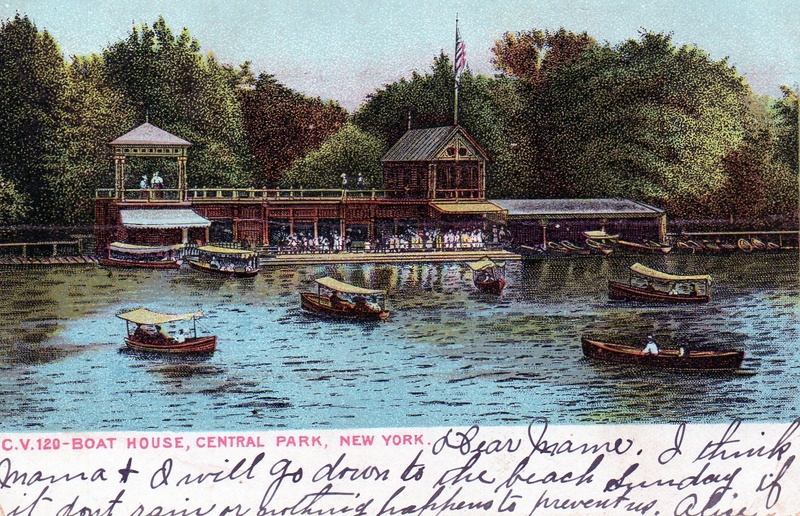 Yet the Lake didn’t get a proper boathouse until 1874, when Calvert Vaux designed this one in the 1907 postcard below. 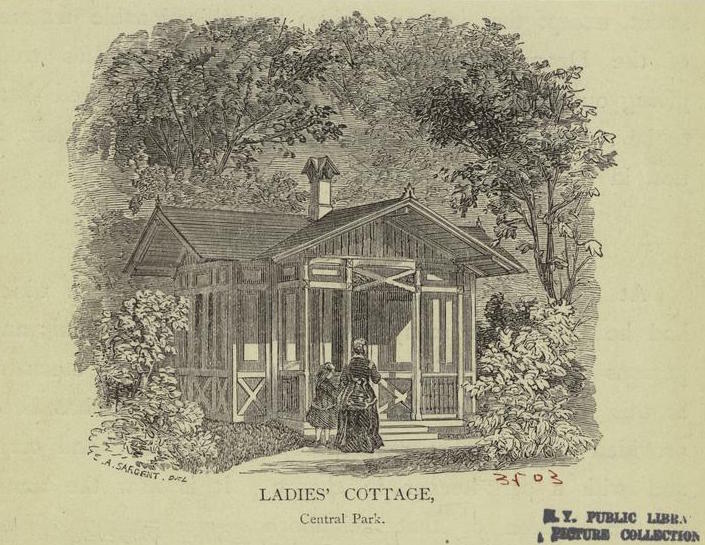 “With its charming Victorian touches, the building also featured a second-story terrace that afforded beautiful views of the Ramble,” explains the Conservatory. 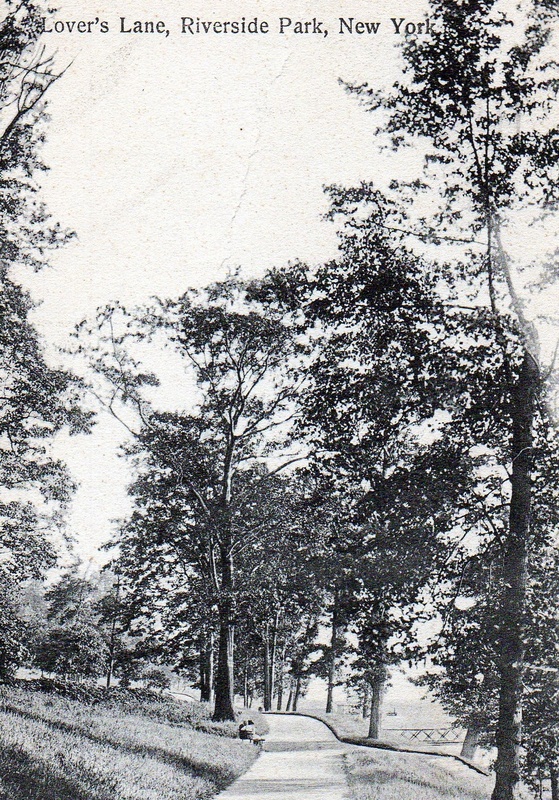 This 1908 postcard, of “Lover’s Lane” in Riverside Park, doesn’t say exactly where it is along the river—and a search for it came up empty. But the curvy path sure looks like a sweet place to stroll or sit, as the couple far off on a bench demonstrate. 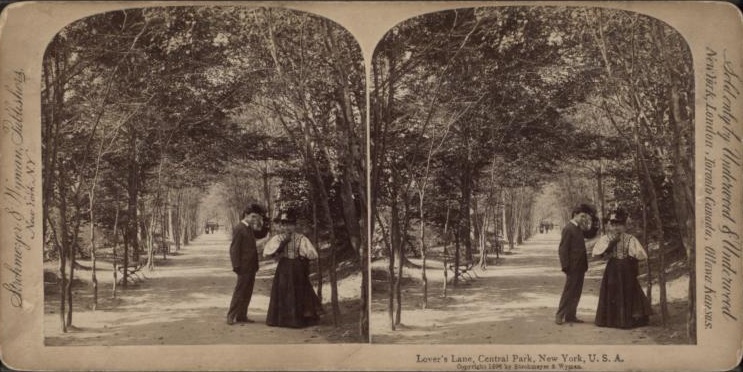 Central Park also had a Lovers’ Lane, as seen in these circa-1896 photos. 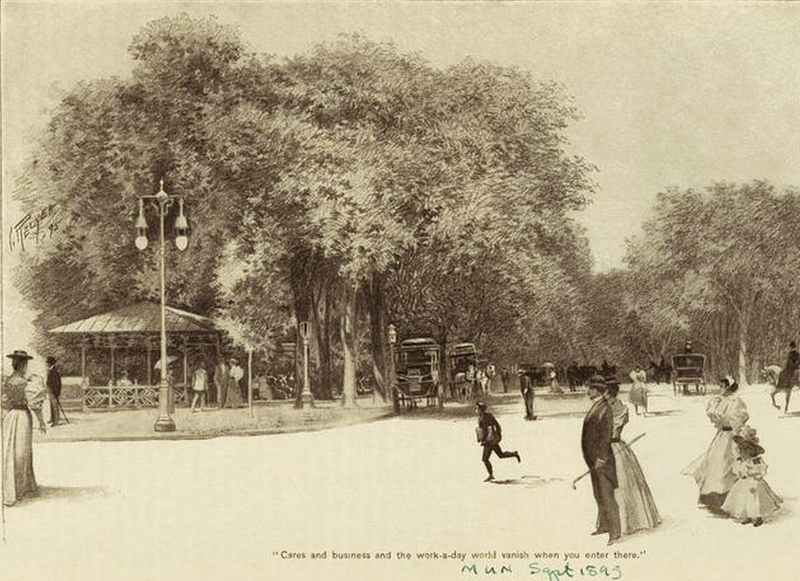 Here’s the history of a colonial-era Lovers’ Lane in Brooklyn Heights.